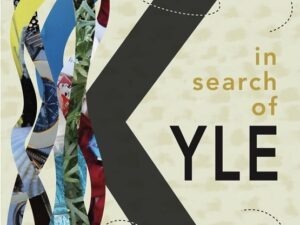 Pre-order your copy of In Search Of Kyle now! The crowdfunding campaign for IN SEARCH OF KYLE goes live on Kings Day 27 April 2018 (formerly known as Queen’s Day and previously celebrated on 30 April, usually, but more about that in the novel In Search of Kyle). Funds to be raised on Kickstarter.com to cover typesetting, cover design, printing cost and book launch. This one-month campaign will have its own official book trailer, filmed on location. Dutch crime author Jac. Toes has written the foreword to this novel. Australian author Dr Stephen Skinner has written an endorsement. The National Library of Australia and the Netherlands will both accept a paperback copy of the book for their catalogue records. An eBook will also be available. The paperback will have about 360 pages. The book launch will be on Saturday 1 September in café de Wacht in Arnhem.